"Handsome" Jimmy Valiant "The Boogie Woogie Man" himself returns to IYH LIVE this Wednesday. We will be talking with Jimmy about the fabulous new documentary "Memphis Heat" now available on DVD !! Tyson Tomko, former WWE & TNA wrestler, was arrested for armed robbery earlier today. He is being held in St. Johns County Jail in Florida. Marty Jannetty coming to IYH !!! 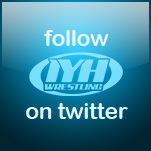 Marty Jannetty LIVE next week on IYH, post your questions now on the IYH Forums. WWE Hell In A Cell live on PPV tonight headlined by John Cena defending the title vs CM Punk and Alberto Del Rio !!! Don't miss out on Mick Foley's Hurricane Assist Comedy show. The show is a Fundraiser for a great cause. And with the purchase of a ticket you get to see Mick Foley's stand-up comedy performance along with comedian J Derrell, and get to participate in a FREE meet and greet with the legendary "Nature Boy" Ric Flair, The Rated R Superstar Edge, TNA star Gunner, LLUSA stars Reby Sky and Jayme Jameson, WCW star Lodi, Female Indy Sensation Amber O'Neal, the list keeps growing!! 2nd Sin Cara mask ? WWE registered to trademark Sin Cara's masks. Both the white he wears now and a black and gold design. Could this mean the 2 Sin Caras will be wearing different colors ? WWE registered to trademark "Sun Tan Superman". This was Ron Killings' nickname in TNA, so I would assume it will be his again in WWE. IYH Prize Wheel Coming !!! 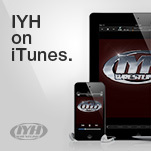 Get a link and banner on IYH...read how !!! In shocking news, a Hardy is in trouble with the law again, and it involves drugs. I know, I didn't see this coming either. F4W is reporting that the reason Matt Hardy announced he was going into rehab is because of a police raid on his house last Wednesday. He has been charged with possession with intent to supply steroids, possession of ecstasy, "maintaining a dwelling to keep controlled substances" and possession of drug paraphernalia. He's due in court on the 29th of September.